A playful song sung by Raghav Arjun featuring Himanshu Sharma, Arvind Swamy. The video of this song is available on YouTube at the official channel Zee Music Company. This video is of 4 minutes 24 seconds duration. 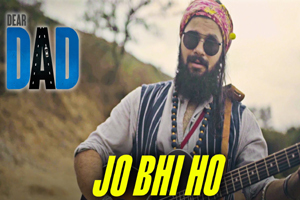 Lyrics of "Jo Bhee Ho"
Lyrics in Hindi (Unicode) of "जो भी हो"